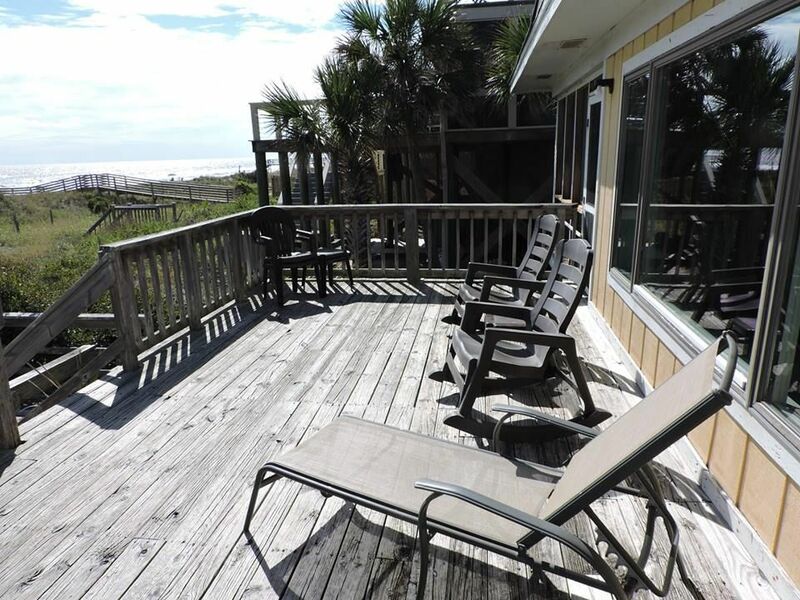 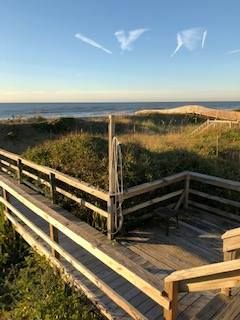 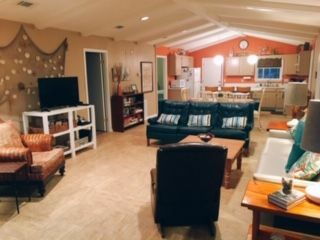 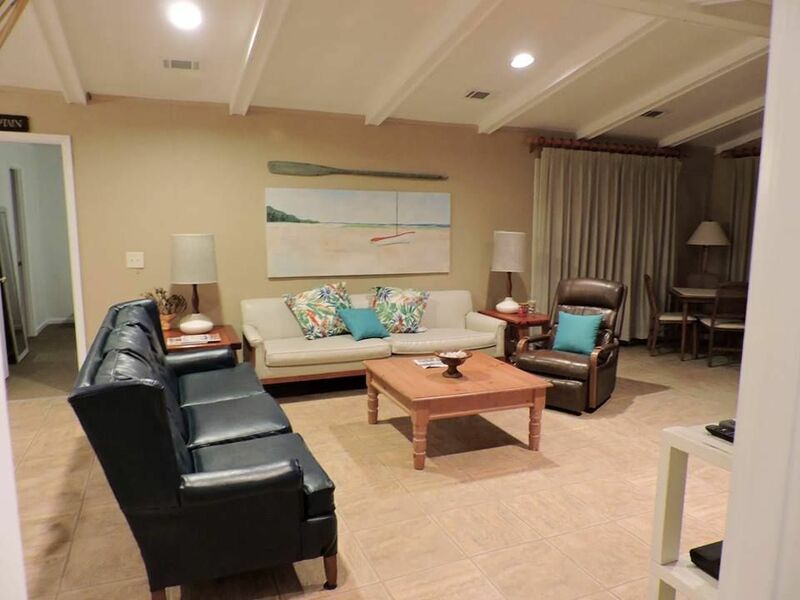 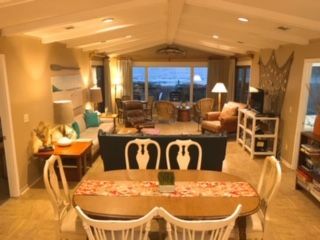 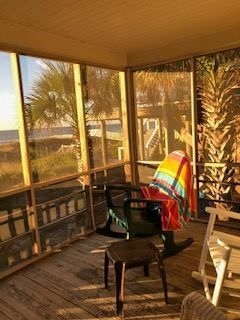 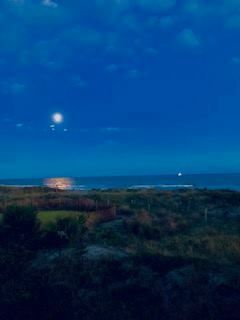 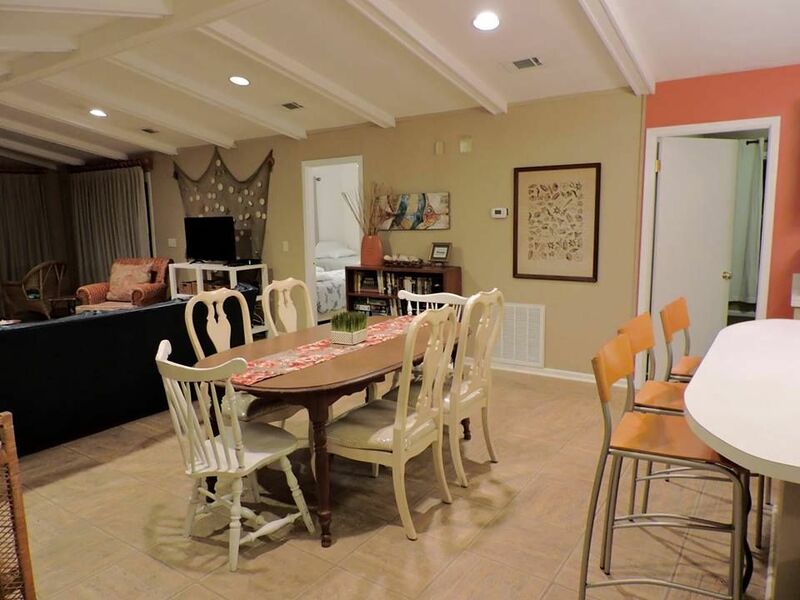 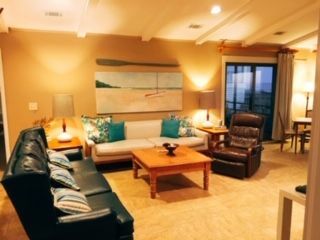 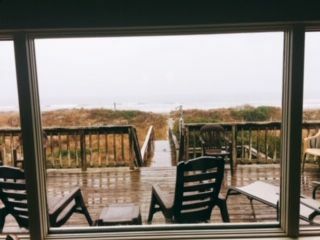 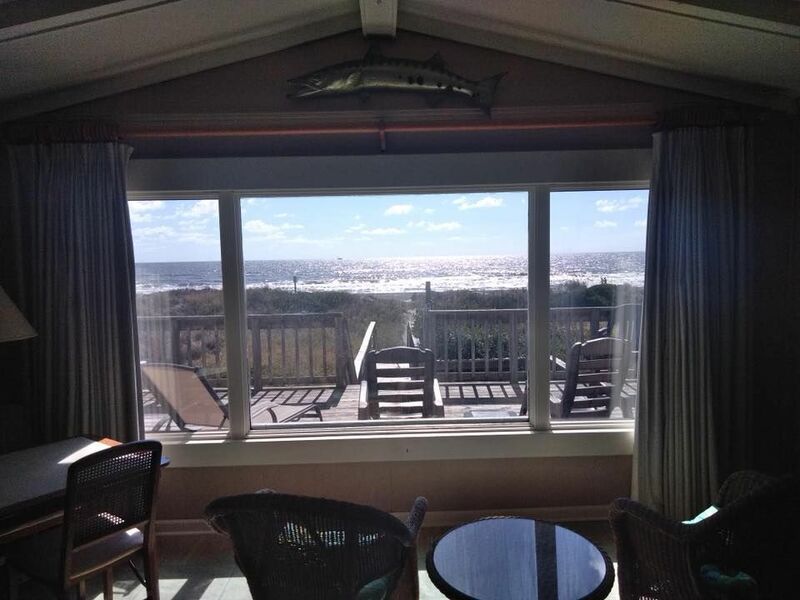 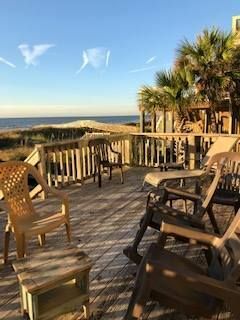 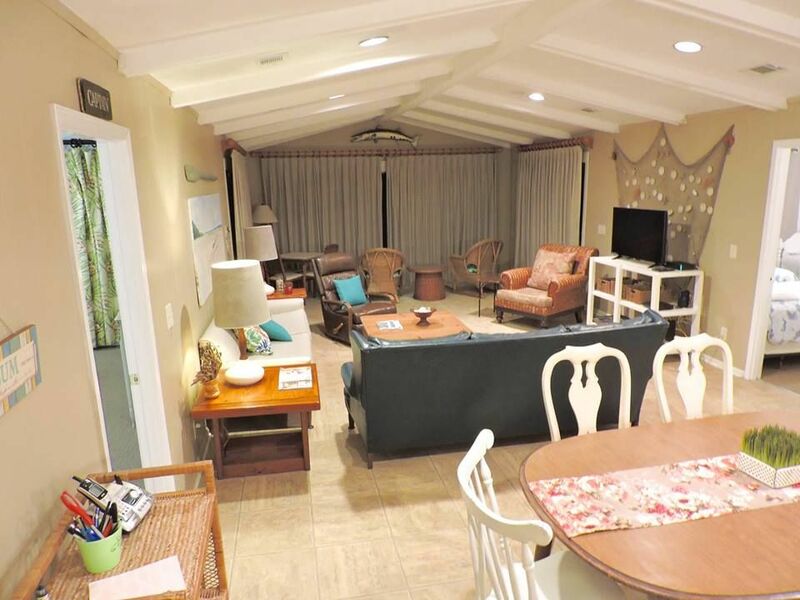 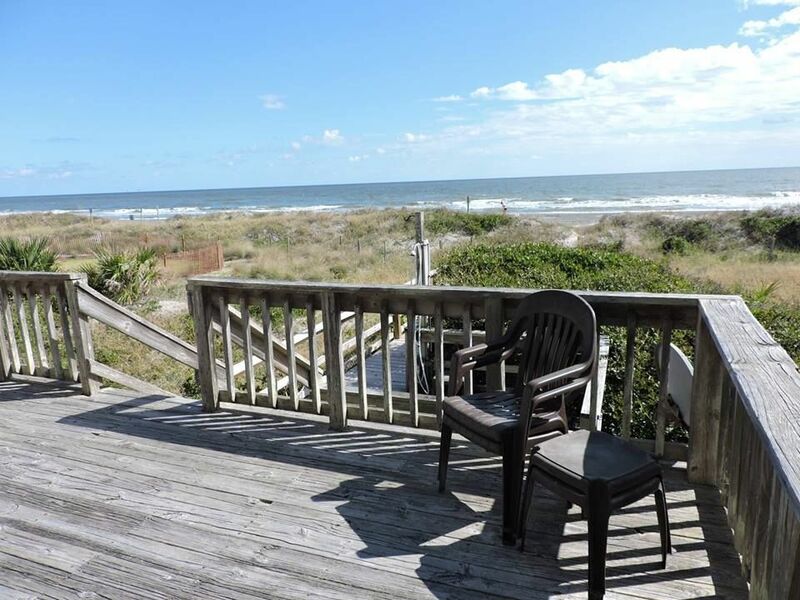 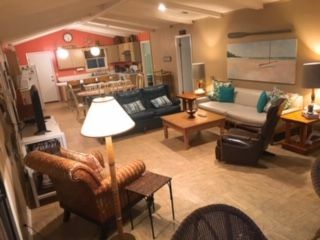 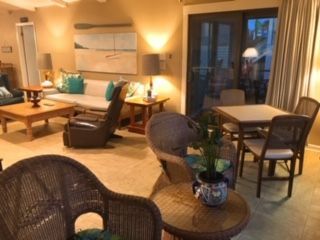 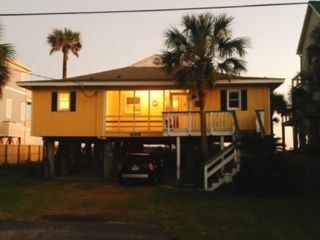 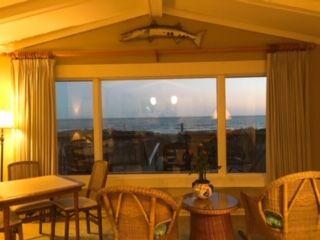 “The Captain” is a beachfront rental with a wide expansive deck oceanside plus double screened in porches. 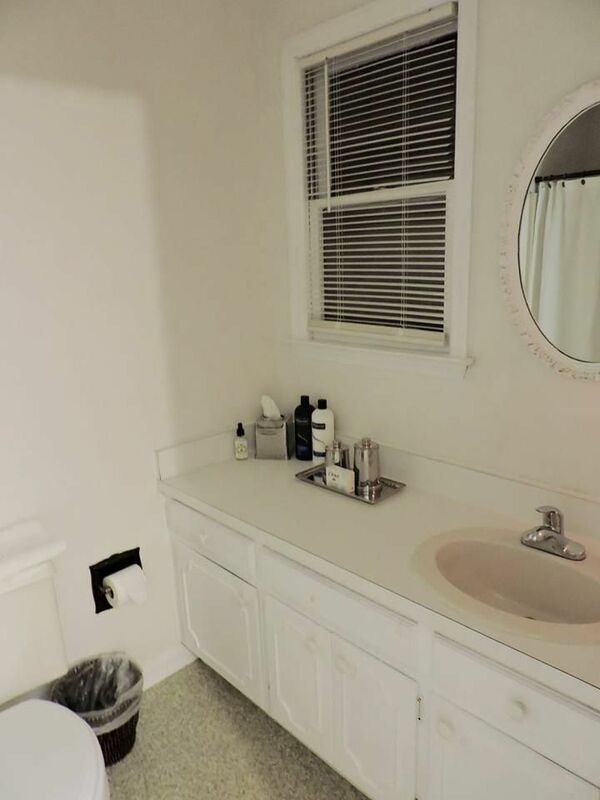 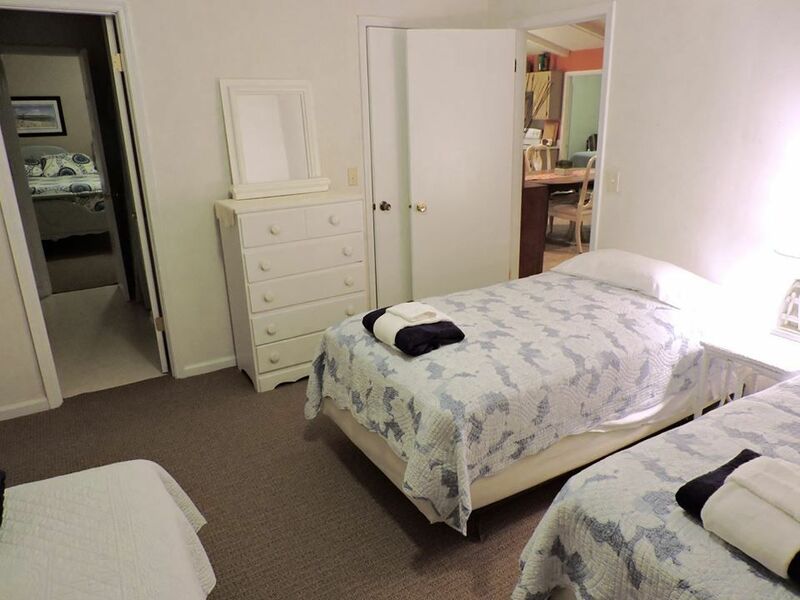 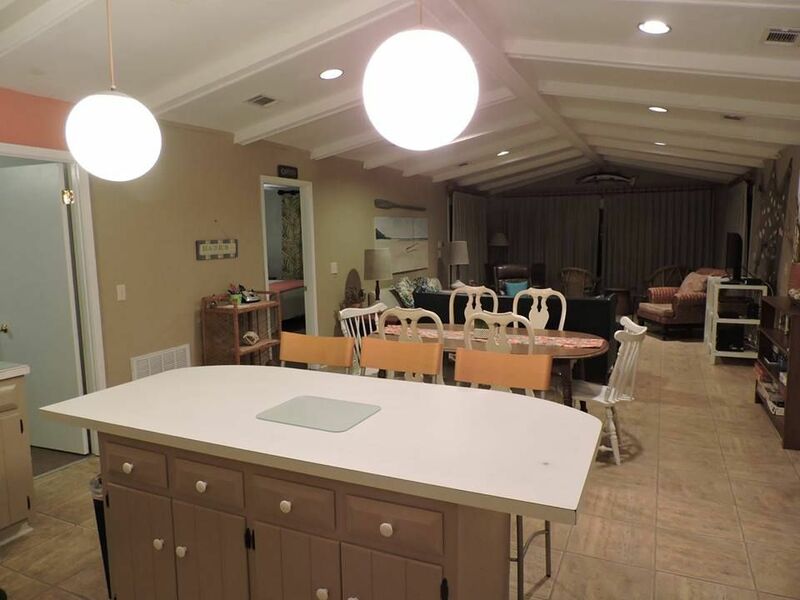 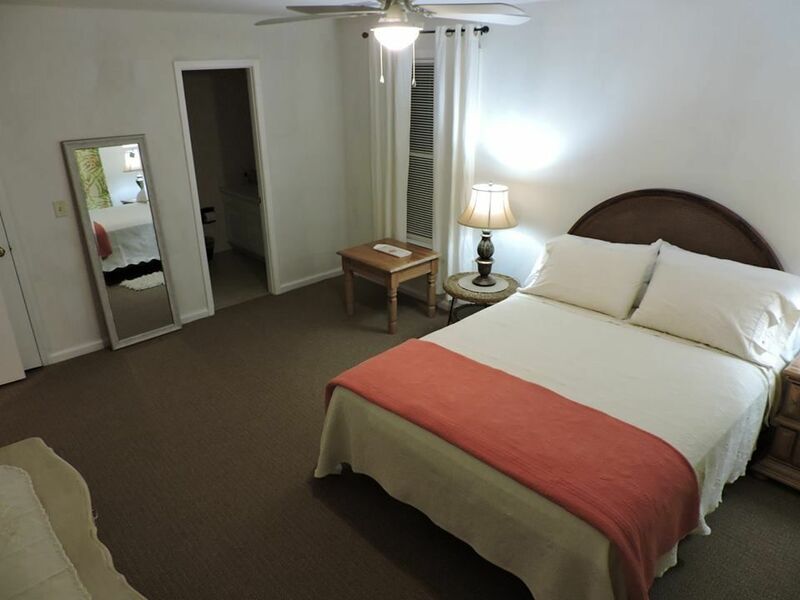 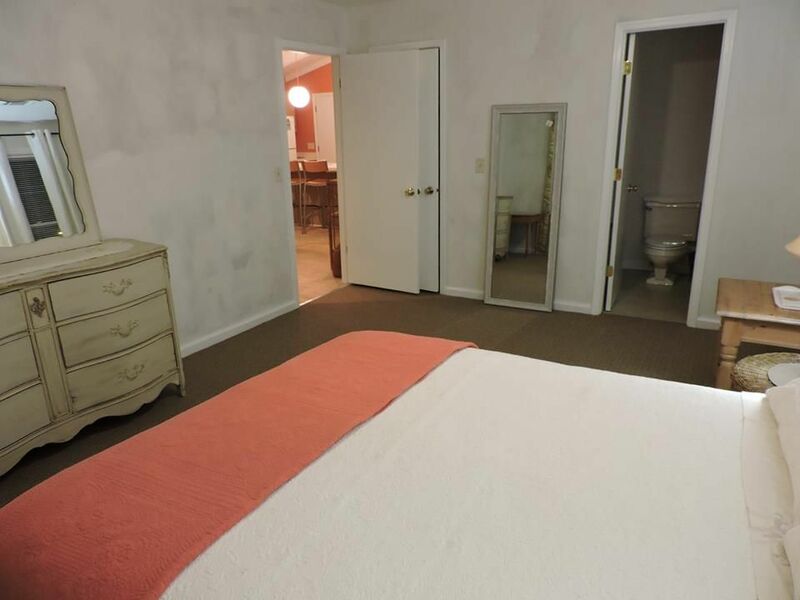 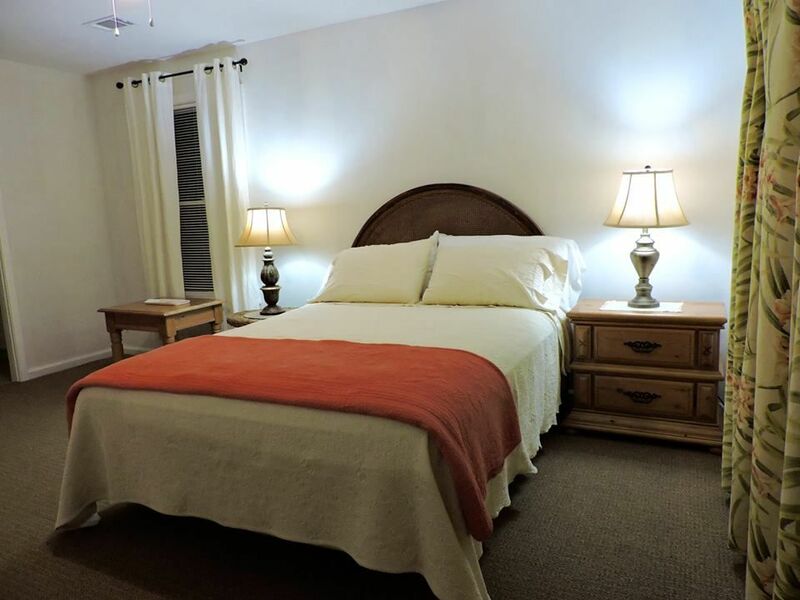 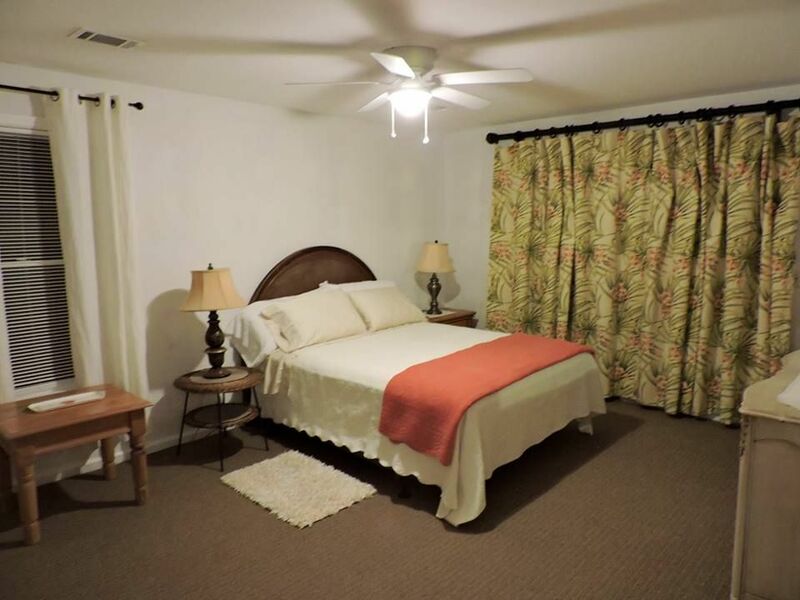 An open floor plan with 4 bedrooms/7 beds - sleeps 10 with 3 bathrooms. 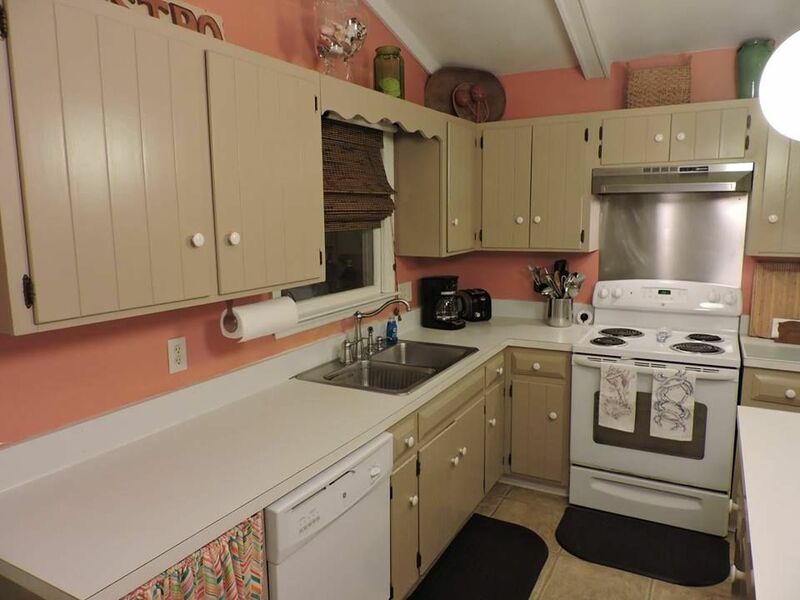 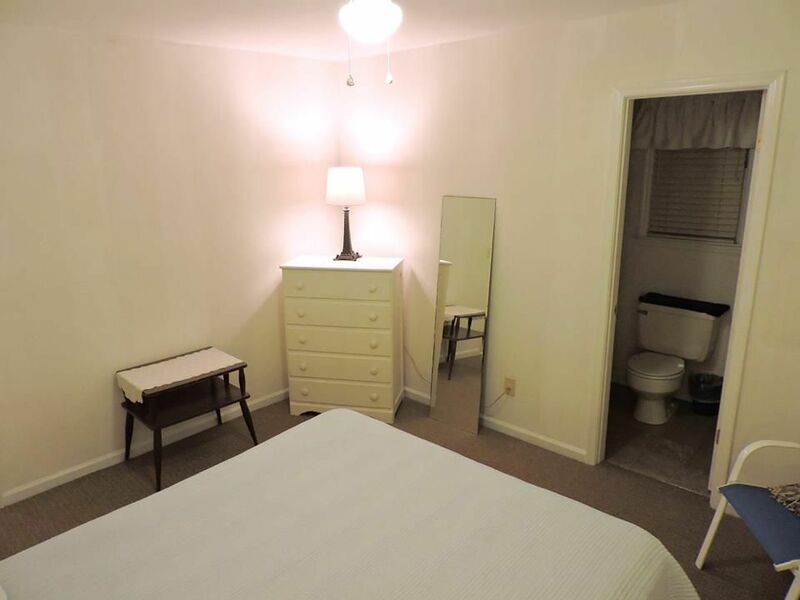 It’s mid island on the west end with ample parking to accommodate a full house. 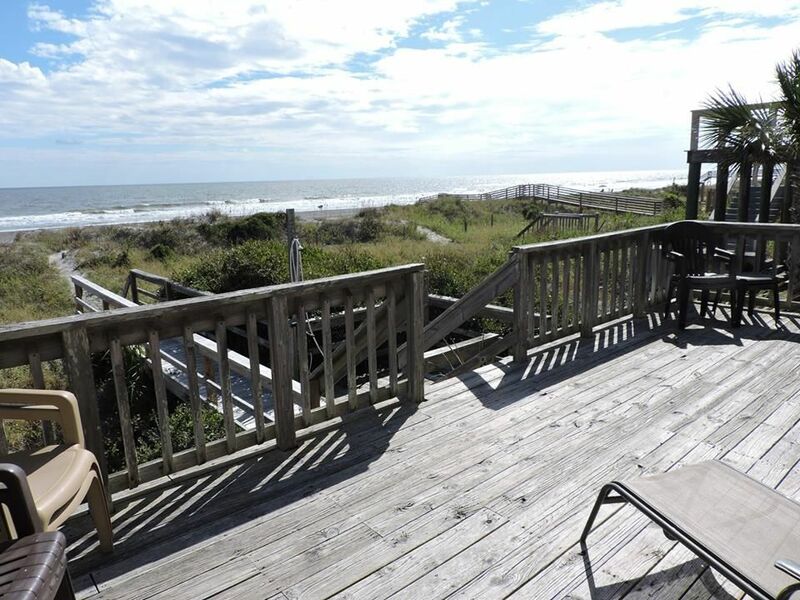 An outdoor shower to rinse off. 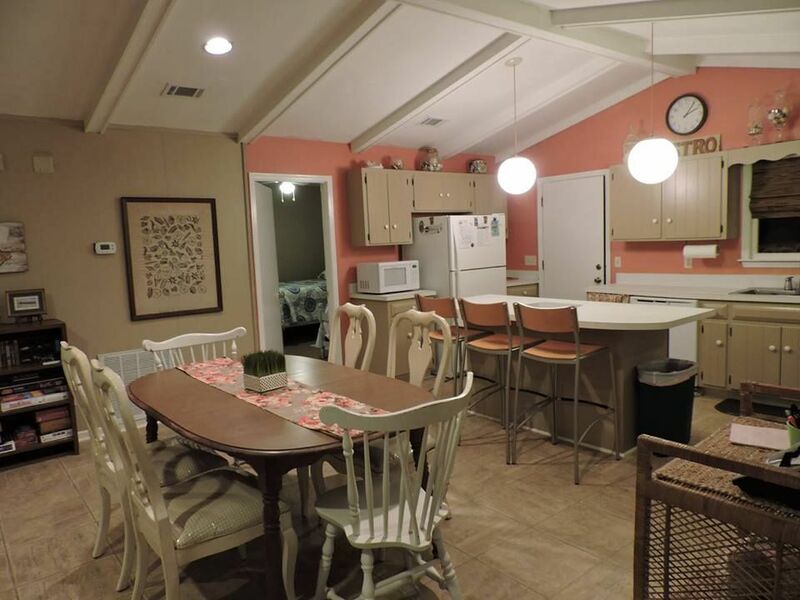 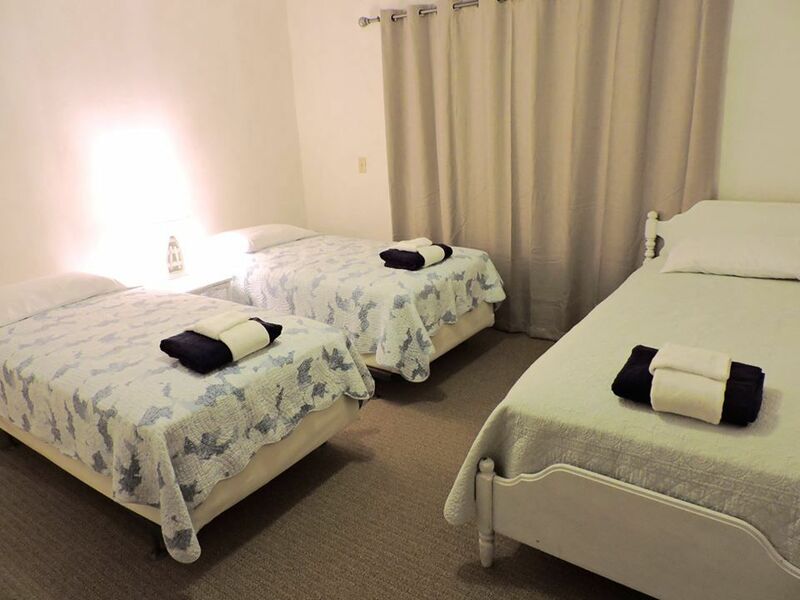 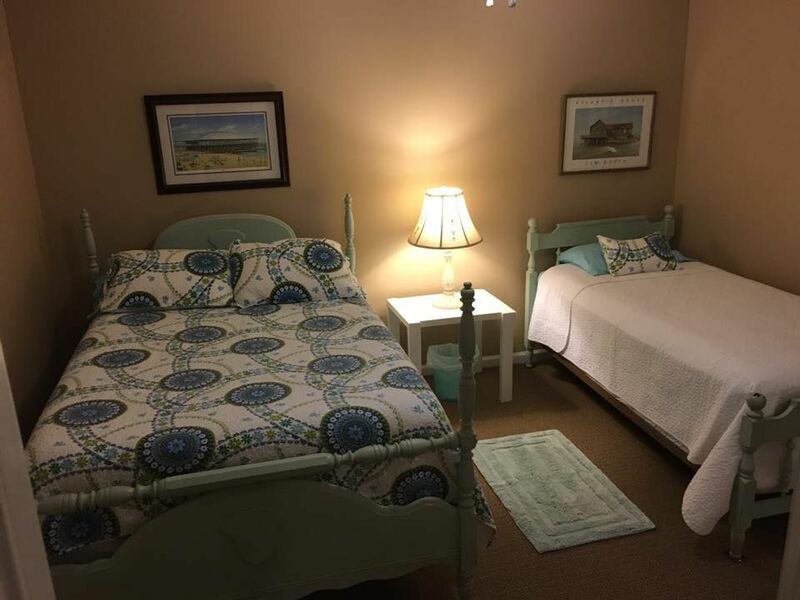 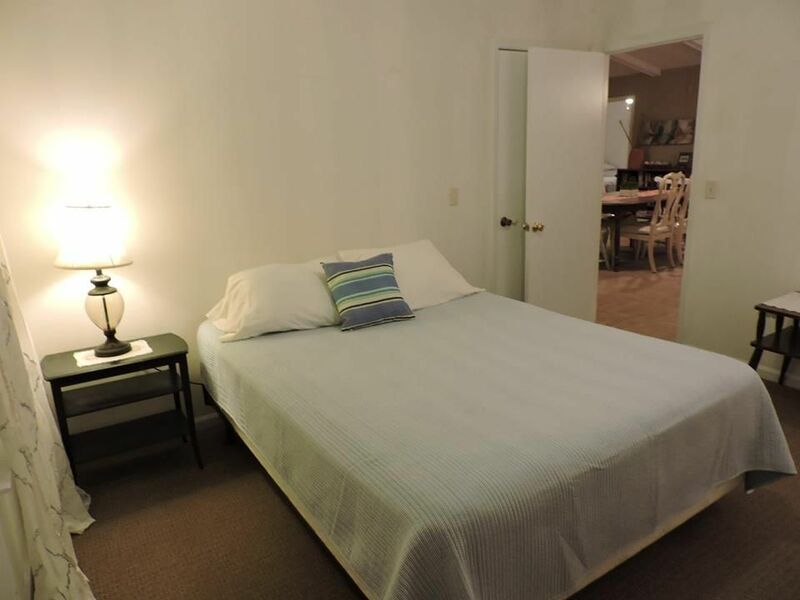 This is an older but comfortable home with lots of memories shared by many generations and families. 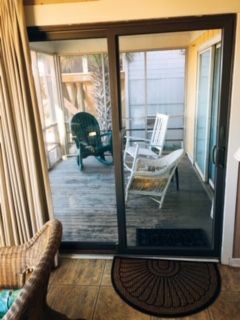 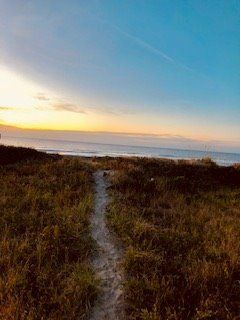 You are just steps away from putting you toes in the sand once you descend the back stairs.